Spanish mackerel are a terrific and under rated gamefish, providing Siesta Key anglers with action, great battles, and excellent table fare when eaten fresh. They are voracious feeders and will attack a fast moving lure or fly with reckless abandon. Live bait will catch plenty of fish when Spanish mackerel fishing, too. Spanish mackerel prefer water temperatures in the high 60’s to 80 degrees and are most numerous in the spring and again in the fall as they follow the baitfish migrations. Huge schools can be seen feeding on the surface in both the Gulf of Mexico and inshore bays, though the most consistent surface action will be in the inshore Gulf about a mile or so from the beach. Mackerel are a “pelagic” species which means they migrate through the area, following the schools of baitfish that they feed on. 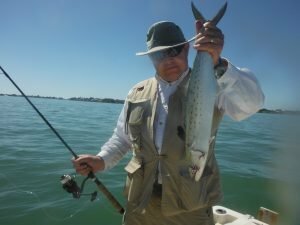 In the spring and again in the fall, the Siesta Key beaches can offer some fantastic Spanish mackerel fishing when conditions are right. Large schools of fish will be seen feeding actively on the surface and will hit anything that resembles a bait fish. 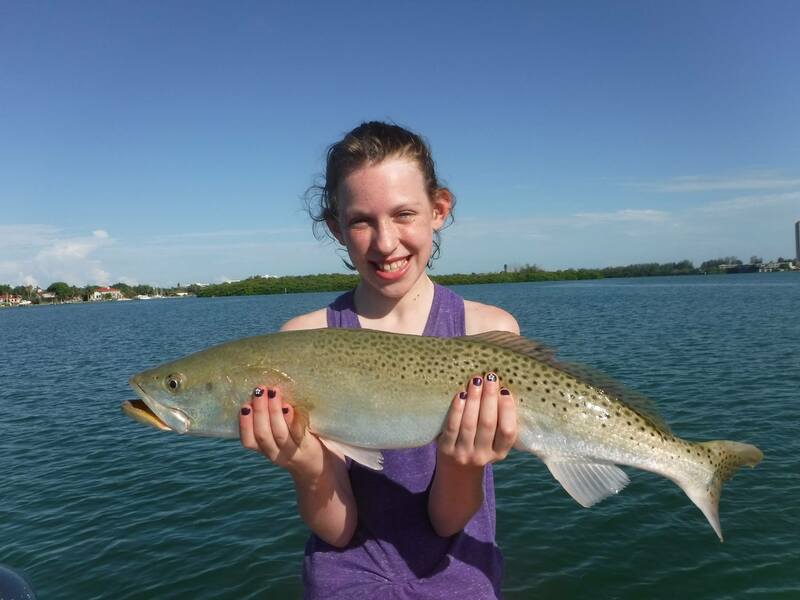 While the larger schools stay out in the Gulf of Mexico, many fish will move into Sarasota Bay through both Big Sarasota Pass and New Pass and scatter out onto the grass flats to feed. Surf casters will do well fishing off of Siesta Key beaches as well. The same tactics that produce speckled trout will also fool Spanish mackerel on the grass flats in Sarasota Bay and in both Big Sarasota Pass and New Pass. 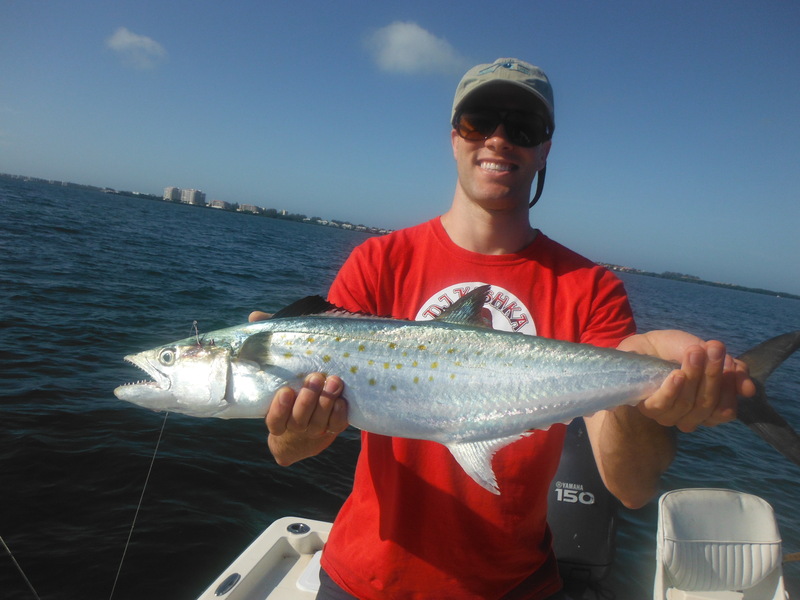 Clients going out Spanish mackerel fishing on a fishing charter will do best fishing deeper grass, from six to ten feed, and casting a fast moving, flashy lure works well. A free lined live shrimp ot bait fish will also produce. A long shank hook will help reduce cut-offs. Current regulations on Spanish mackerel fishing can be found HERE.